If you're thinking of cruising away on your next vacay make sure you tune in to Katie Schmeer's Cruising 101 series for The Hip & Urban Girl's Guide. Here's her final post on the different cruise lines and destination ideas. All lines will have certain ships and destinations that cater to different demographics, so this is more of a general what to expect. Carnival – Known as the ‘fun ships’ they have a very wacky party feel to them. During peak vacation times, these ships are packed with families, particularly those with slightly older kids. During weekdays or long weekends, you can expect a lot of partiers who will not stop till they drop. Royal Caribbean – Currently boasting the biggest of all cruise ships, they are marketing very hard to establish a new, more family-oriented vibe. The added expense of these cruises and the assortment of on-board amenities leads to an older and more established crowd of families and people in their later twenties and thirties. 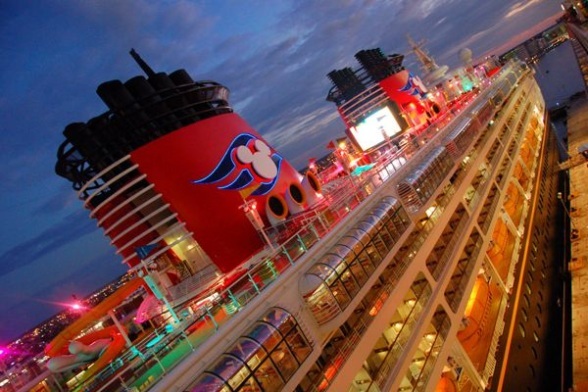 Disney – The most obvious demographic group Disney caters to is families with young children, but Disney cruises are branching out in their destinations. Guest loyalty to the Disney experience and what they offer, are taking these cruises into a broader definition of adventure travel. Destinations such as Nice, France and Pompeii, Italy have been added, but they are on the pricier side of cruising. Norwegian – This ‘untraditional’ cruise line does not require you to sit with strangers during dinner. You can be more flexible with your clothing choices, when to eat and are considered overall to be more ‘carefree’. They are also more budget friendly. So if you’re not looking for a traditional cruise experience, this may be the right pick for you. Princess – Considered to be a more traditional and service-oriented cruise-line. The big focus with Princess are the destinations. 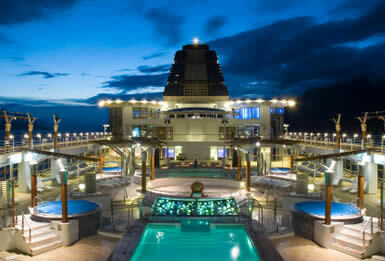 Princess offers cruises all over the world, including Asian and World cruises. Once again, they seem to be more geared towards a more mature and relaxed crowd. 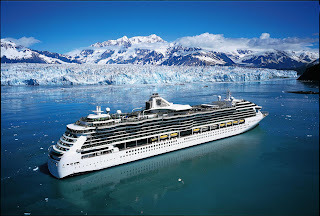 Celebrity – These are more intimate ships, which boast amazing service. I have heard great things about their spa services. They also have some more specific and rare destinations, such as the Galapagos Islands. If you are not one for the major crowds, this may be the right fit for you. Anywhere there is water there will likely be a cruise ship on it. Caribbean and North American tours (yes, cruises go along the coast of Canada and New England), are your cheapest options, so if you are looking for a getaway, without the high travel costs, these are excellent choices. However, there are many varieties of Mediterranean, Alaskan, South American, Asian, Australian/New Zealand, etc. cruises to help you explore the world. Caribbean cruises, leaving from Florida are also excellent choices for someone looking for a vacation somewhere warm, but are on a budget. Caribbean cruises are cheaper than cruises going to many other destinations and airfare to these departure destinations is usually cheaper. Once you have been on one cruise, many cruise lines will give you exclusive deals for your ‘loyalty’ if you decide to come back on another of their cruises in the future. Make sure to speak with a travel agent to ensure you’re getting the best possible deal.